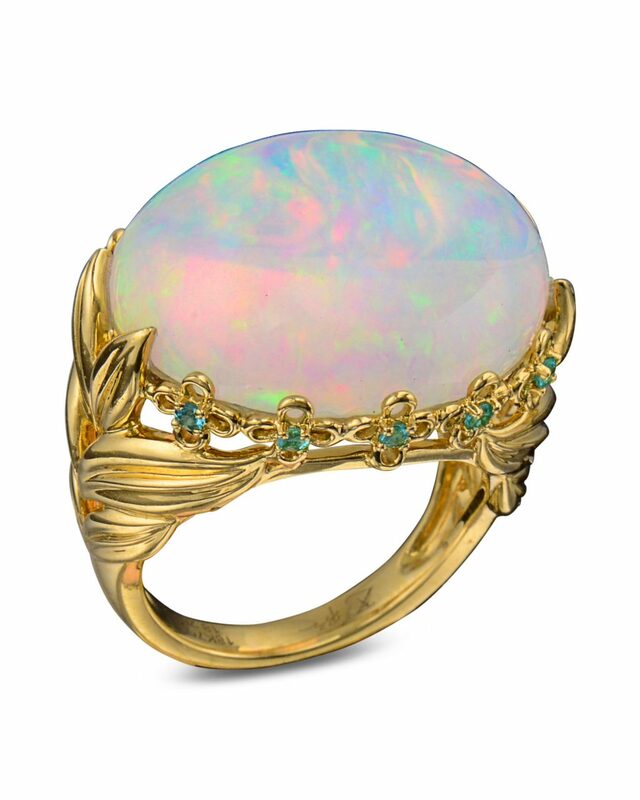 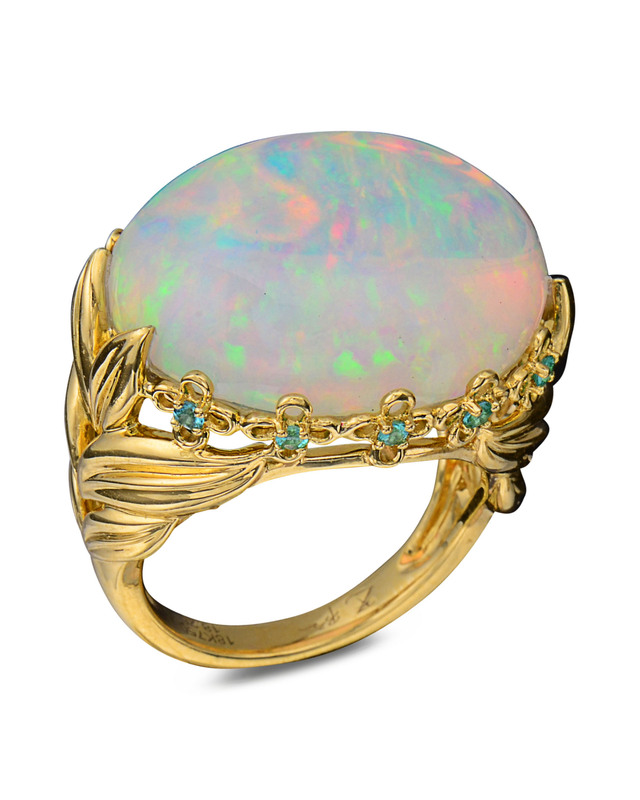 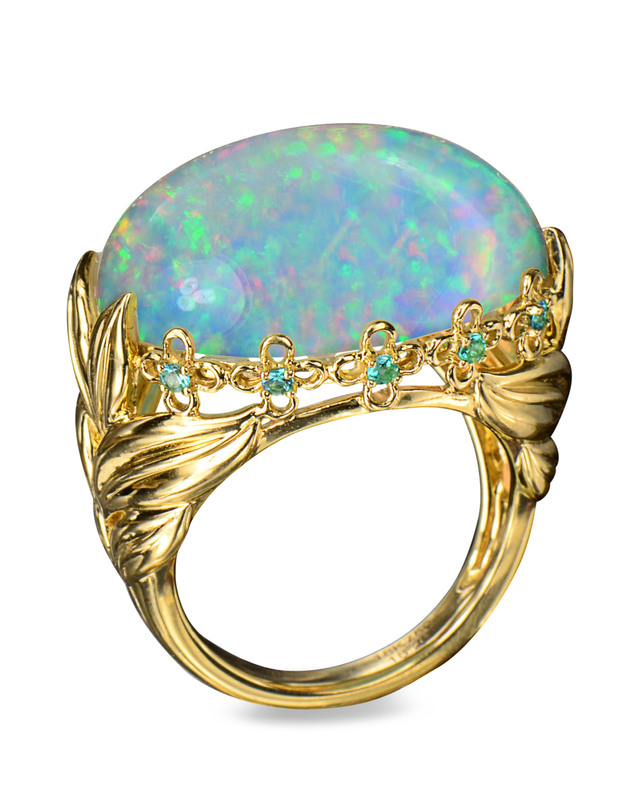 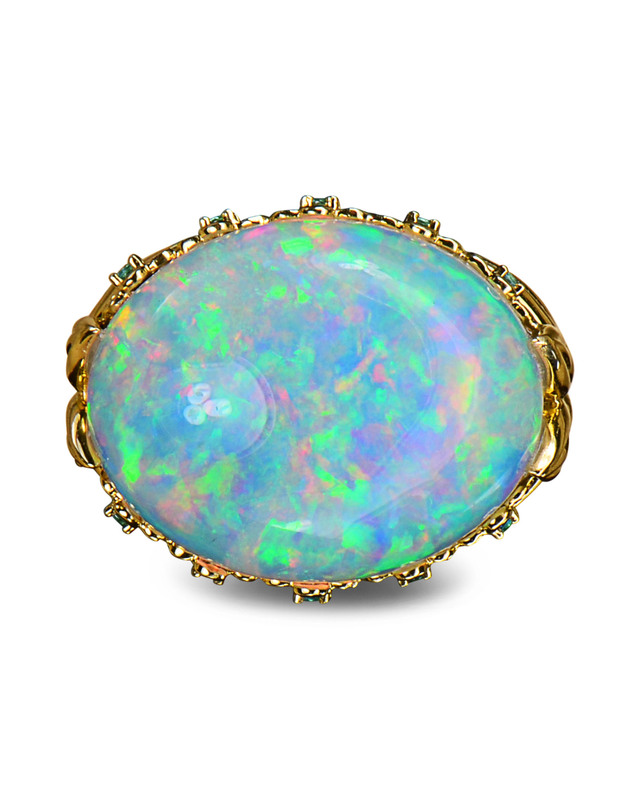 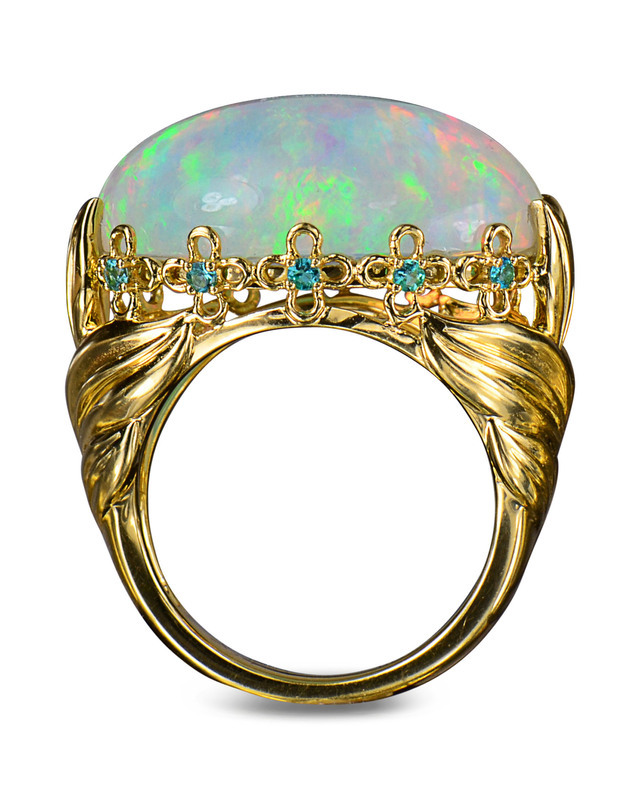 An 18K yellow gold ring with a gem-quality, oval, cabochon cut Ethiopian opal. 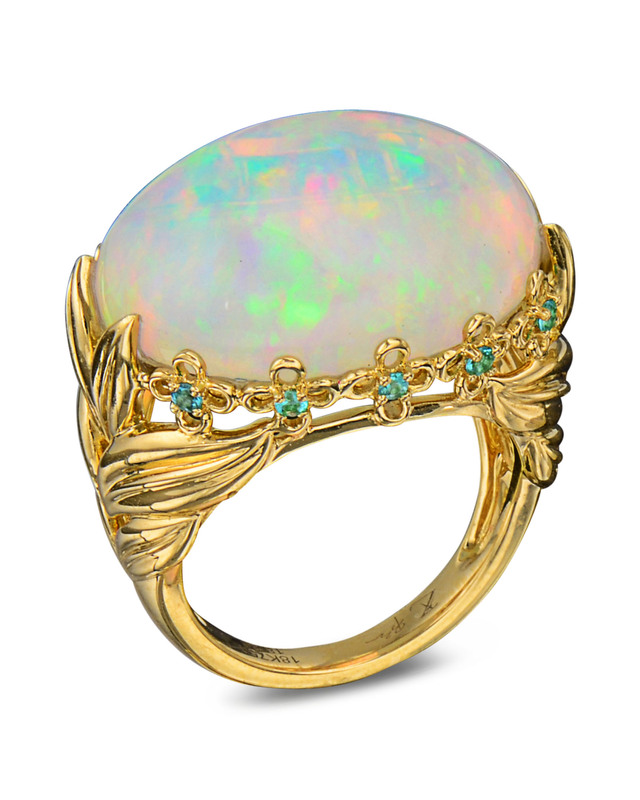 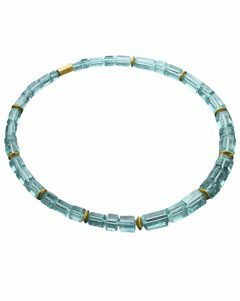 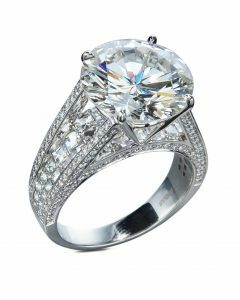 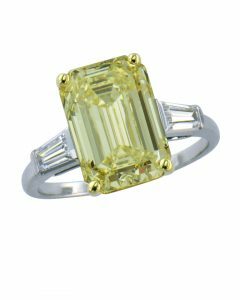 There are Brazilian Paraiba stones that add to the beauty of this ring. 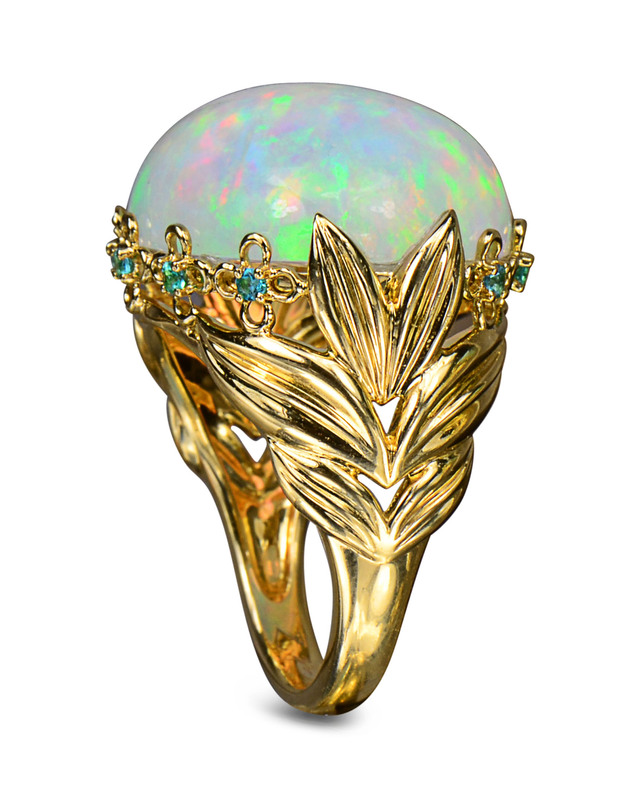 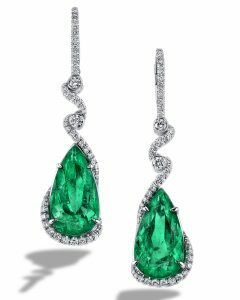 The opal is 18.10 CT while the Paraibas weigh 0.16 CTW.